We are thrilled to be offering support again to this year's Birthday Benefit - MARCH FORTH! Shannon Thompson created the Birthday Benefit party seven years ago to celebrate her birthday in a fun and meaningful way, bringing together great people and great music to raise a pile of money to donate to a good cause. Proceeds will benefit Life Flight, Maine's nonprofit critical care transporter, a service that has personally touched our lives and the lives of many in our area. This year's event will be an indoor street party in the spirit of Carnival and Mardi Gras, with costumes and masks and a wild brass band - Brooklyn's Huntertones. Before the show, hang with the band and chow down at an indoor street fair food fest with awesome nosh by Home Kitchen Cafe and tunes from the Bill Barnes Jazz Trio. 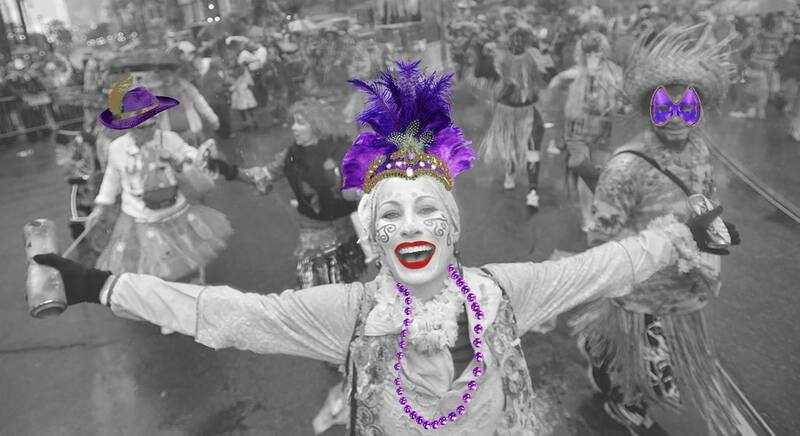 So dig out your Carnival costumes, your Mardi Gras masks and beads, your tropical headpieces, and dance away winter's last dark days!